We keep hearing about blockchains and blockchain decision tree all the time. Entrepreneurs or Industries are making millions out of it and turning into a large scale business industry. Massive innovative approaches like Ripple or Binance showed a vast deal of success. It was not long ago that Ripple only started as a $10,000 investment startup, now look at it. It’s making its way to the billion-dollar capital in no time. What’s the secret behind it? Is blockchain the only “Secret” ingredient? There are so many similar projects like this that fuels the dreaming hearts of many Startups and Enterprises. So, it’s completely practical if you are thinking about implementing the blockchain app into your business or starting up something new entirely. But do you actually need blockchain decision tree to fuel your business? How do you speculate whether it can be the “wow-factor” for you too? We’ve put together this easy blockchain decision tree to help you figure out the answer. Hop on this ride and see when to use blockchain. Do You Need or Want a Middle Man? This is one of the first questions you need to ask yourself for the blockchain decision tree. Apparently, in blockchain, the main attraction is bypassing the middleman or network. However, it’s crucial to know whether you want it or not. Don’t worry; Blockchain decision path will definitely help you out to answer this question. To better understand the question, we need to analyze further how a middleman works. Nowadays middleman is not a term that we only use for “human” third party, but it’s also used for more concrete third parties. You could think a bank as a middleman. Through banks, we can transact money from one place to another and also store our money. On the other hand, during a transaction bank need a great deal amount of time to verify and transact the amount. This, of course, takes up additional costs. So, how would you know when to use blockchain decision tree? But if you use a blockchain, you won’t be needing this type of medium any longer. A ledger system on the network is open for all to record their transaction data and validate them without any problem. The ledger gets automatically updated so that you will get the most recent information all the time. The best part here is about the security. We know how our banking system sometimes fails due to hacks or internal manipulation. However, if you ask a question like “do you need a blockchain here?” we’ll simply answer yes. Blockchain network has a greater deal of dealing with this type of situation. It has a higher level of security and can provide a significant amount of safety than the traditional banking system. It’s not only limited to banking. Any system that may require a considerable level of trust to function correctly can work with this new system. This is one of the critical blockchain questionnaire you could ask yourself before making the decision. Blockchain can now replace the central administrative system and make everything fair without trusting the “middleman.” You may think with so many people seeing your records, won’t they be able to change it? Well, no! Once a transaction block gets added to the ledger system, no one can alter it. That’s why every node on the network verifies the transaction thoroughly, and after it matches with every other nodes interaction, it gets added to the list. Easy as that! In the end, you will get a more efficient way to make transactions without wasting extra time. In addition to this, the overall costing to create a block is much cheaper than in the traditional banking system. However, if you can’t trust a new technology to do your deed that’s a whole further aspect. But this is one of the questions about blockchain that you would surely find necessary to proceed. YES: If you want a middleman, then blockchain is not for you. Blockchain will always connect two peers simultaneously, and with the network, they will be able to communicate without a medium. So, if you want a centralized network, you have to get rid of your need for a middleman. NO: If your answer is “No” then you might be beneficial for you to utilize the blockchain app. Let’s jump on the next blockchain decision tree segment to assess it better. Do You Want to Work With Digital Assets? This is the second questions we have on this blockchain decision tree. It’s also one of the critical blockchain questionnaire. Back in the old days, our trading business was a bit different. Everything was old school without the intervention of technology. Every retailer had their own shop or place where they sold all their goods, and we had to go there personally to buy it from them. It was a good system where there was mutual trust, and we could see what we bought. However, to attract customer’s retailers had to present themselves differently. Everyone had their own strategy and used different mechanisms to increase the sell. Those days are long gone now. Now we are leaning towards the technology more in this case. Farmers now don’t only have a market, or in some cases, they don’t. They have their online presence from where we can order our stuff without even seeing that in person. This e-commerce system is dominating the market now. So, it’s normal to have a strong background to increase your sell. Why Small Business can’t Shine Here? Big industries don’t have a problem with this, but smaller presences get easily ignored even though they provide quality material. Obviously, you’ll get a chance to sell your products through larger e-commerce platforms such as Amazon or eBay. But things aren’t the same as before. Now, most of the time you’ll get only a few options to enhance your presence, and Amazon will decide the rest. You won’t get any freedom to add any special attractive feature on your page. Amazon will have authority over your products, and you will have to pay them a big sum. Not only that, what happens when your customers will see your competitions products on the same page just below your product as a suggestion? Is that a good strategy for your sale? However, this kind of chaotic system would not be on the blockchain platform. With this, you will be able to connect with your customers without the need of any third party. Blockchain tends to put the light on the smaller businesses rather than making the big industries bigger. It will give you a place to grow bigger and better with all your digital assets. So, if you are going to deal with digital assets, Blockchain just might be the right choice. Not every digital asset is a product. There are many businesses where you can use tokens as digital assets and utilize them to get the job done. They are mainly four kinds of tokens now on the market. Currency Tokens: Used as a currency on the network such as Bitcoin, Nano, etc. 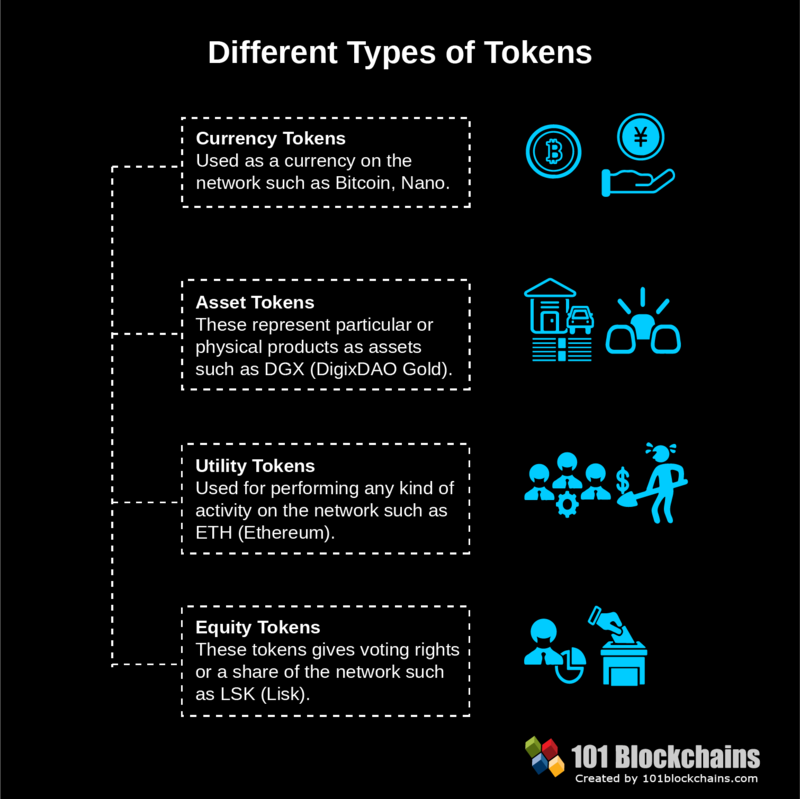 Asset Tokens: These represent particular or physical products as assets such as DGX (DigixDAO Gold). Utility Tokens: Used for performing any kind of activity on the network such as ETH (Ethereum). Equity Tokens: These tokens give voting rights or a share of the network such as LSK (Lisk). Tokens are one of the vital prices of blockchain app nowadays. There are many blockchains fueled e-commerce apps who had their own token to deal with on the channel. It’s a good initiative, and if you want to utilize this feature, then you can do it without any hassles. That being said, tokens are not essential for a blockchain either. So, how would you know when to use blockchain? So, if you ask a question like, “do you need a blockchain for this?” Then we’d have to say; it depends on your need, not something we can say definitely. It will depend largely on your business type and what kind of use cases you are willing to add. We will discuss further about this in our next questions about blockchain. YES: If you want to work with digital assets, then blockchain can be a good way to go. They are obviously other ways to enhance your business without blockchain. But as blockchain will give you the freedom to innovate, it’s a good call. NO: If your answer is “No” then you might benefit more without a blockchain. You will have to deal with digital assets on the network one way or another, so it’s not necessary for you to go for the blockchain. Let’s jump on the next blockchain decision tree segment to get a better view. Are You Able to Develop A Permanent Solution For The Digital Assets? This is another critical aspect of the blockchain decision tree. Why? Because a permanent solution might not always be a desirable state for you. So, you don’t want a middleman and want to work with digital assets. Blockchain decision path will definitely help you out to answer this question. But can you develop a permanent channel for them? Such as making them a permanent record? As blockchain developer has to a major source of trust, it’s only reasonable for people to assume that blockchains can solve everything. The answer lies in your business characteristics. If your business involves a lot of trustable parties than you can’t develop a permanent solution for them. Because before you can make a stable block for the asset, all your parties would need to agree with the conditions and then manage the overall state of the asset. Blockchain decision path will definitely help you out to answer this question. In the business line, it’s practically impossible to do. Moreover, do you even want a permanent block? Maybe your business deals with a product line that requires constant change in the ledger. A company like this working with blockchain developer here would be counterproductive. Basically, in situations where you would need to change the information. So, why would you use blockchain here, it won’t be any good and definitely won’t make any sense. However, do you need a blockchain for this type of feature? Say you can develop a permanent solution for it. Therefore, you should also see other aspects that can influence the pricing. This comes from the previous section about tokens. Using tokens as a digital asset has its own set of perks and limitations. Why do the values change in the first place? Supply and Demand: The demand for tokens fuels the pricing. Special Utility: Any form of activity on the network, which requires tokens would affect the price. Circulation: Circulating token numbers and lockups also influence the price. Staking: A possibility of earning tokens by staking will affect pricing. Mining: How much more can be mined or if all the tokens are already mined will influence it. New Generation Tokens: Sometimes the new type of tokens may have a price hike. 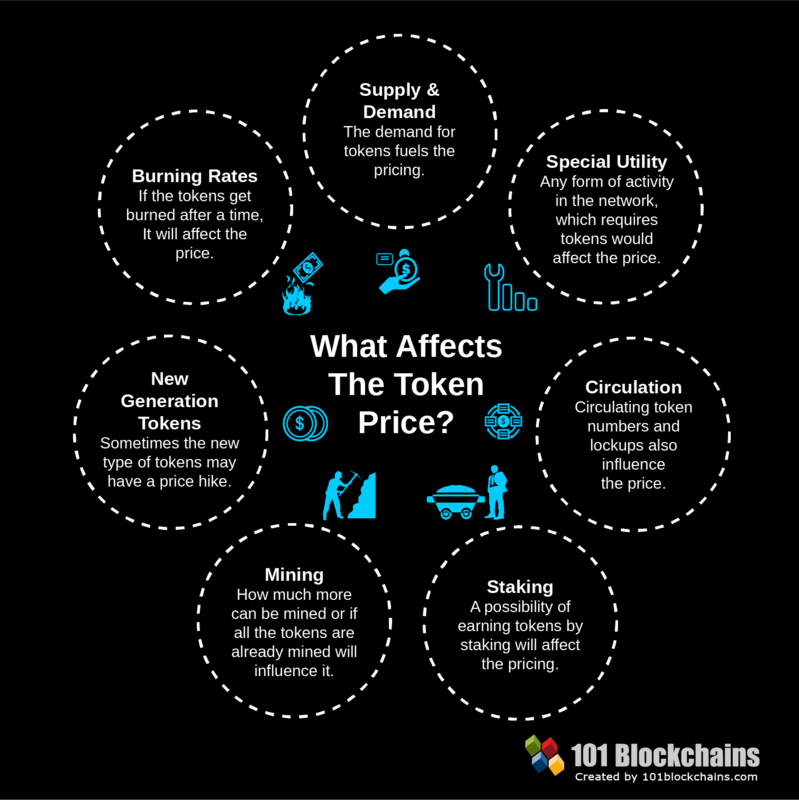 Burning Rates: If tokens get burned after a time, it will affect the price. YES: If you can develop a permanent solution for the digital assets then going for blockchain should be a good call. A permanent block on blockchain can most certainly help you maintain the desired business scheme you want. Also, remember once you make it you can’t change it. So, therefore you can move on to out next blockchain decision tree question for further assistant. NO: If your answer is “No” then you may benefit you more to leave blockchain. Blockchain can’t help you in any way here. Do You Need a Common Shared Database? This blockchain questionnaire here would be a challenge if you didn’t understand the first context. Do you want a common shared database? In blockchain, you will have to share a common ledger system with many other unknown parties. That’s just how blockchain works. You won’t get a private database just for your business because that would interrupt the primary purpose of this network. You may ask, “Do you need a blockchain for this? Can’t I just use a traditional database?” Well, there are obviously some serious changes than typical databases. Blockchain has a database, but it’s not like usual ones that everyone uses to store data. Let’s see what they are in this Blockchain Decision Tree checklist guide. This type of databases will utilize a client-server model of the network. A known client will get the ability to modify the data stored on the network in any way. The overall control will remain with a higher level of authority, who can authenticate anyone entering the network. Somehow if the authority fails to provide a security level, then other parties’ information will also be lost. The rogue authority can exploit them any way they want. On the other hand, Blockchain developer made the ledgers to have a new network system where everything is maintained through a node channel. There are many nods on the network that look over the information without any human contact. Every node there can be administrative and programmed to verify before making any changes to the ledger or adding permanent data. After adding a block, even the nodes aren’t permitted to change any previous block. It’s a good mechanism that provides a higher level of security. 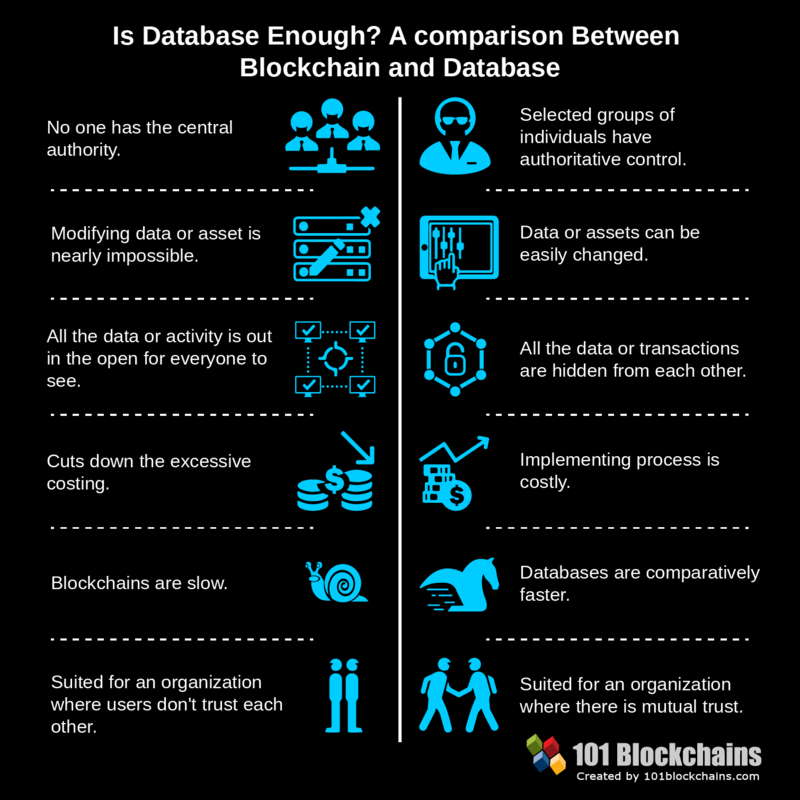 Modifying data or asset is nearly impossible in the blockchain, but data or assets can be easily changed in databases. Blockchain also has a more significant deal of transparency as everything is right there out in the open. But typical databases hide the information from everyone on the network. You will get one write access for a single block in the blockchain. After adding the info he/she can’t change or alter any of the information in any way. But typical database clients can read, write, alter, and delete anyway they want. The costing in blockchain is relatively cheaper than databases. Databases coat a huge lot of money. On the other hand, blockchain can give you the same facilities with a lower costing. If your organization doesn’t want to rely on trust, then blockchain is the way to go. On the other hand, an organization with mutual trust should stick to databases. YES: If your answer is “Yes” then you need a blockchain implementation. Because blockchain would be able to give a trustless ledger system with cheap pricing without any trust issues. That’s a safe bargain right there. So, you can jump right to the next blockchain decision tree segment. NO: If your answer is “No” then you should avoid blockchain and work with a typical blockchain with more money. Are You Working With Multiple Parties? Working with multiple parties in a business requires a lot of trusts and mutual understanding. Even if you trust each other, there could be multiple ways your co-operation to end. Maybe you guys don’t have the same marketing strategy, or perhaps a team is way more dominating than others. Whatever the blockchain can help you to deal with it. If you can get all the parties to use blockchain network you can manage everything smoothly. Everything will be uploaded on the ledger for everyone to see. You will get a different view on transparency of business with this. So, there won’t be any point of misunderstanding. But do you need a blockchain if you work with multiple parties? YES: Answering “Yes” for this question would give a straight yes vote for using blockchain app. Working with different parties without any trust issues are always a mean of bad business. So, blockchain can link all of you without any worries. NO: Answering “No” here would mean that you don’t need blockchain. However, you can utilize blockchain in other ways too. Let’s jump on the next blockchain decision tree segment to assess it better. Do You Want a Trustless Environment? Trusting other party is always involved when you are doing business, especially in a partnering situation. We have to believe banks for keeping our money safe, business associates to keep their agreement, lawyers to back us up and many more. What happens when the frame of trust gets broken? Unfortunately, we always see a greater trust being violated every day and suffering because of that. It’s a major issue now. Many businesses have difficulty surviving after that. So, how would you know when to use blockchain? This is where our next questions about blockchain decision tree come along. Blockchain will give you a platform that has no connection to trust at all. It’s a trust free environment where you can work with other parties without worrying too much. With many different blockchain services on the market, it’s normal to get almost any type of need fulfilled without the need for trusting in the first place. How blockchain does it? It’s quite simple. It uses different consensus algorithms to evaluate all the transactions without giving any specific party more attention. Thus, it creates a fair platform. The mechanism started with Proof-of-Work and then further involved other consensus algorithms in making it more concrete. So, the blockchain questionnaire is yours, do you need a blockchain to work in a trustless environment or not? YES: If you want a trustless environment, then you should go for the blockchain platform. Blockchain will give you a fair mean in a business and platform where you can work with multiple parties without any worries. You can move on to the next question of this blockchain decision tree and then better know if you need it or not. NO: If your answer is “No” then it’s better to avoid blockchain and use the old traditional ways. Do You Need High Performance? We’ve reached a point where we will talk about the limitations of blockchain in this blockchain decision tree checklist. If you are looking for a high performing platform, then blockchain might just not be the one. Blockchain has a lot of benefits, but one of its limitations is the performance gap. Although many other blockchains are slowly starting to catch up to it, still those need a lot of work. Let’s see what you can expect. Even though it seems like a new chapter, to begin with, still it has its own share of complexity. The whole system is comparatively new, and it may take a lot more effort to build one. Without a context, it would be much difficulty to maintain the network. Blockchain will become more efficient with more nodes on the network. The more nodes it has, the stronger and better it will get. So, you would need a wide variety of nodes spread across the globe. For smaller sizes, you won’t be able to enjoy all of its fruitful features. The speed of the transaction varies from one network to another. The most primary one Bitcoin takes about 10 minutes to process a block. But there is a catch! The more populated it gets, the longer it takes to validate a block. So, it could take days even to process that. The speed concerns are being dealt with, and there are already many protocols that are super-fast comparing to this. However, this still lurks in the underperforming list without a doubt. Other factors are security protocols and political issues. So, you see blockchain might not be able to give you the ultra-fast standards, but it can still provide a good backup. YES: If you want a high-speed performance than its better not to work with blockchain for now. There are some networks that can give you the backup you wish to, but there will be some limitations too. There’s no network without any limitations, and blockchain is not an exception to that. NO: If your answer is “No” then you be able to utilize blockchain. Let’s jump on the next blockchain decision tree segment to assess it better. Does Your Requirement Include Large Storage Units? Every business is different and comes with its fair share of requirements. One of the basic requirements is a storage unit. Now everything being stored digitally, it’s normal to expect a great load of storage space dedicated only to you. However, it might not be all sunny a day in the blockchain network. Blockchain works with many individuals at the same time. Providing a large storage unit is one of the struggles it’s facing right now. Large storage units with all additional security channel will be costly in the long run. If you are thinking about a lifetime investment, then you would have to pay a minimum of $100 per GB. That’s a lot of money for a small amount of space. Every GB can accommodate up to 500,000 transactions. So, if you are thinking about a massive industry level scheme working with millions of users, then we can’t really asses how costly blockchain can become. Also, if you are on other blockchain based projects, you won’t have to spend the money, but you will have to share your database with other big parties. In the end, it’s still one of the flaws of Blockchain. There have been some enterprise level concepts on the matter, and blockchain developer is trying to overcome these issue. But do you need a blockchain if you need large storage units? YES: Answering “Yes” in this blockchain questionnaire then blockchain might not be able to benefit you here. It’s better to move into other solutions for it. NO: If your answer is “No” then you should look into blockchain. It can fulfill your small-scale demands without any security breaches. Now, let’s move into the next section of our blockchain decision tree guide. Are You Looking for Contractual Solutions? Traditionally contractual relationships or contracts can become a problematic situation for both parties. Processing all the legal rights or paying an equal amount, sometimes gets missed completely. With the new introduction to smart contracts, your lives can become much more comfortable than before. With smart contracts, you will be able to set up a specific set of rules, and then once it gets fulfilled, it will automatically release the funds or distribute any means of payment. The process actually eliminates a lot of hassles along the long way. Insurance companies can benefit from them the most. Whenever a new customer sets up an insurance policy, the insurer can set up a contract based on the rules on the network, and when certain events get met, the funds will get automatically released. It’s a simple trick. No one now has to suffer for signing all the contracts or getting caught up the system. It’s a method that works. Same can get done with projects. You will get a fair deal without anyone getting any partiality. So, do you need a blockchain decision tree for this type of feature? YES: If your answer is “Yes” then you should definitely utilize blockchain for contractual solutions. With smart contracts, you will be able to streamline projects without any nuisance of all the paperwork. NO: Answering “No” here would establish the fact that you don’t need blockchain. So, it’s better to move into other solutions. Let’s jump on the next blockchain decision tree segment to assess it better. Do You Require No Change or Little Change In Rules on The System? This is another crucial point in our Blockchain Decision Tree guide. Everyone conceptualizes blockchain as an immutable system. Why? It’s because you won’t be able to change any rules on the system to make it more favorable for you. It’s not something the system permits and this way blockchain ensures a balance between the projects. As it’s decentralized, this kind of characteristics are desired because if anyone could have an administrative power how would there be any fair trade? That’s why you won’t have any control or very little control over the primary rules of the system. However, it might not be all that immutable as they say. There’s a chance of 51% attack that can disrupt the traditional ways of the system. If a group of miners takes control over more than 50% of the network they can explicitly control the system. They can halt other people’s transactions and even double spend the amount of money. By doing this, they can alter the ways of traditional rules and make new regulations on their own, which is not expected. However, the risk of 51% attack is more prominent for proof of work, but other consensus mechanisms have already ensured a more secure environment. So, you won’t have to worry about that. YES: If you are okay with no change of content rules, then you should definitely try it out. It’s a wonderful project that can easily work with your business type. You can move on to the next chapter of this blockchain decision tree checklist from right here. NO: If your answer is “No” then it’s better to go with a system that gives you more freedom to work with. Even though blockchain doesn’t give you the freedom but all the rules of the system are established to maintain the decentralization aspect. Do You Need Shared Write Access? Never skip this point in our Blockchain Decision Tree guide. You will get write access in every type of blockchain, but you won’t be able to alter it. You will get read-only access to the ledger and able to add content but won’t get any rights to edit them in the future. Bitcoin is one of the many names of this kind of public system. There is also another kind of blockchain that offer special permissions to write, access or read the information. This type of mechanism has control over the transactions and also can outline their roles on the network. There’s also a matter of ensuring identity management. This type of concept is known as Federated blockchains. Private Blockchain also has similar traits. Ripple is a permissioned blockchain system example here. This type of nature is not seen in public ones. So, how would you know when to use blockchain? YES: If you answer a “Yes” here too, we will establish that you need to look into blockchain. However, as you know there are different types of the blockchain, we will ask two more questions to decide which one suits you best. So, let’s move forward and see what we have in the next two questions in this blockchain decision tree guide. NO: If your answer is “No” then you won’t be needing any blockchain solutions to boost your game. You can try out other available solution for adding a new feature to your project. Unfortunately, our journey ends here. Do You Need Control Over the Functionalities? As we said, earlier control is a relative term in the blockchain app. In private blockchain, you will have to pass through a verified protocol to access the network. The main difference between public and private blockchain is the control over the participants. The consensus will decide who will participate in the voting system or rights and maintain the ledger. The owner will get an option to delete, edit or override entries as needed. So, in a sense, a private system is not decentralized but more like a distributed concept. Here you will operate on a closed database and sometime may not be able to validate or authenticate transactions or change in rules. YES: Wanting control over the functionalities is normal. Blockchain decision tree can allow you to have a limited amount of control with their private or federated system. So, if the answer is “Yes” you should go for a Private Blockchain platform. NO: If your answer is “No” then we’ll move on to the next questions about blockchain decision tree guide to make the final call for you. This question is crucial if you can’t decide which side to pick. Blockchain decision path will definitely help you out to answer this question. Public blockchains are open, and anyone can access and download the protocol whenever they want. It’s fairly distributed, and you would get the best decentralized environmental feel in this type. However, every transaction you make will get recorded on a database that is public. It means that you will be able to see other transactions and people will see yours too. This can sometimes be an unwanted factor in business, so if you are 100% sure that you want transactions public you will benefit more with public transactions. You will also get a great load of security in this one compared to private channels. YES: Some people want total transparency in their ledger system, others want more control over the access. In private blockchains, you would require authentication to access the ledger. But in public, you don’t have any requirements. So, if you want public transactions, then it’s best to go for a public blockchain. NO: On the other hand, if your answer is no, you should move to private blockchain as you will benefit more for your business from that. And all the questions about blockchain decision tree ends here. So, basically, all of these questions in our blockchain decision tree model would help you figure out whether it’s a needed factor or not. Maybe it’s good to invest in a blockchain; maybe it’s not. You will ultimately decide this. Thus, what will you do? Will you embrace the “blockchain” that has all the capabilities to change our traditional systems? Or do you want to sit this one out and let others play in the game? The choice is yours.